With perfect conditions on the Island, it was Harrison who made the early running with his lead over Hillier at Glen Helen on the opening lap a miniscule 0.05s whilst Ivan Lintin was lying in third, four seconds further back. 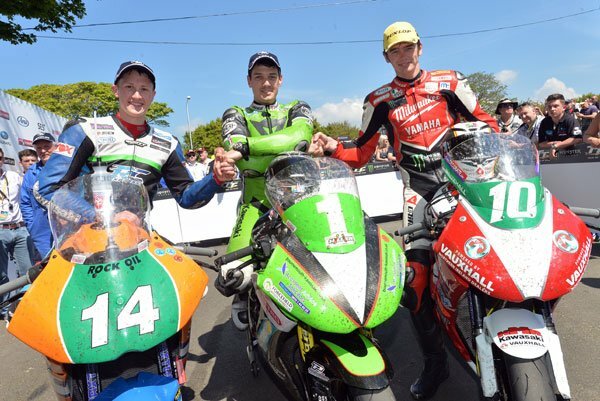 By Ramsey, Hillier had taken over the lead and with an opening lap of 117.959mph, he was 5.4s clear of Harrison with Lintin still in third ahead of Cummins, Jamie Hamilton and Michael Rutter. However, pit stop strategy then came into play and whilst the majority of the riders opted to stop after their first lap, Lintin, Chris Palmer and Ian Lougher were the three riders in the top ten who went straight through. That gave Lintin the lead at Glen Helen although his lead was only 14s over Hillier with Harrison dropping to third as Palmer leapt up from seventh to fourth. Hillier was setting a ferocious pace though and ate into Lintin's advantage all the way round the lap and as he swept across the line and Lintin pitted at the end of lap two, he was back in the lead by over three seconds. Lintin, Harrison, Cummins, Palmer and Jamie Hamilton completed the top six. Going through Glen Helen on the final lap, Hillier's lead was a more than healthy 21s with Harrison in turn holding a similar lead over Cummins. However, Lintin was only a further second back and Hamilton just 6s seconds after that so the final podium spot was going to be fought out all the way to the chequered flag. By Ramsey, Hillier and Harrison seemingly had the first two places sewn up, save for mechanical problems, but Lintin had now closed to within 1s of Cummins with Hamilton still in touch in fifth. 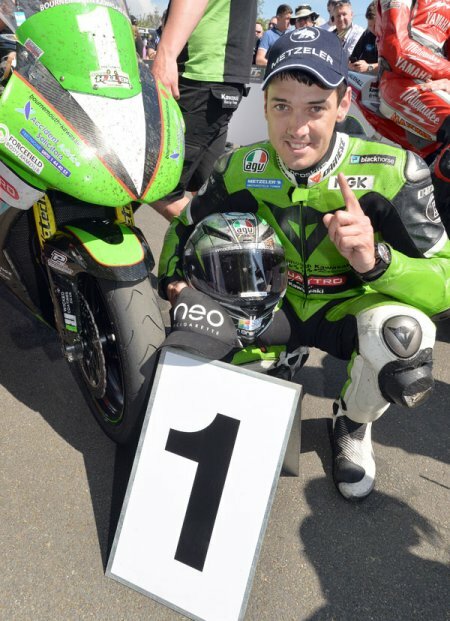 Hillier, number one on the road and in the race, flashed over the line with that stunning 119mph+ lap, which was also quicker than John McGuinness' old 250cc lap record of 118.29mph from 1999, and he duly took his maiden TT victory with Harrison in second for his debut rostrum. All eyes turned to the battle for third and it was Cummins who came out on top by 4.2s, for his first podium since 2010, with Lintin's second lap pit stop strategy dropping him back to fourth. Hamilton had an excellent ride into fifth with Rutter making it three KMR Kawasaki's in the top six as he took a solid sixth. Cameron Donald, Palmer, Lee Johnston and Ian Lougher completed the top ten.